Find My Workspace lists over 95% of the business centres market in Enfield. Simply click Request Quote to check pricing for one office, or Add to Basket for multiple offices. 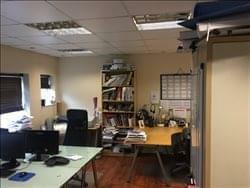 This workspace located in a central area of Enfield offers a fantastic space for small businesses looking to get settled and grow professionally. The space is furnished and meeting rooms are available. There is 24 hour security so the space is very secure. Just round the corner you will find many local shops, cafes, restaurants and bars. 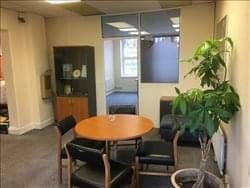 This spacious, self contained, serviced office space in Enfield Town has a stylish but simple design. With an approximate size of 250 square feet, this space is perfect for any business looking to set up two or three workstations. The space is furnished with a minimalist approach, making the most of the space, with hardwood flooring for an elegant finish. The space gives tenants access to great amenities such as 24-hour access so that you can manage your working hours to suit your business needs and a shared kitchenette area where you can enjoy lunches and network with your co-clients. The rental prices is inclusive of bills and vat. To obtain information for your selected London Borough of Enfield Business Centres, please tick the "Add to basket" box for each office you prefer and complete the form below. We will then send a detailed report via email.